I know this is super late to be talking about Christmas presents but I though that I might wait until I had had my birthday. That way, I could share everything I got in one post. I had a fantastic Christmas and birthday. If you're back at school, I hope everything is going well for you and that you're not having exams like me. If you're still on holiday, you lucky people, enjoy the rest of it whilst you still can. Before I start, I would just like to mention that my sister has persuaded me to get Tumblr. If you'd like to follow me, the link is here. I've not posted much yet but I'm really hoping to get that running for this year. Christmas came first, so it is only fair that I start with it. 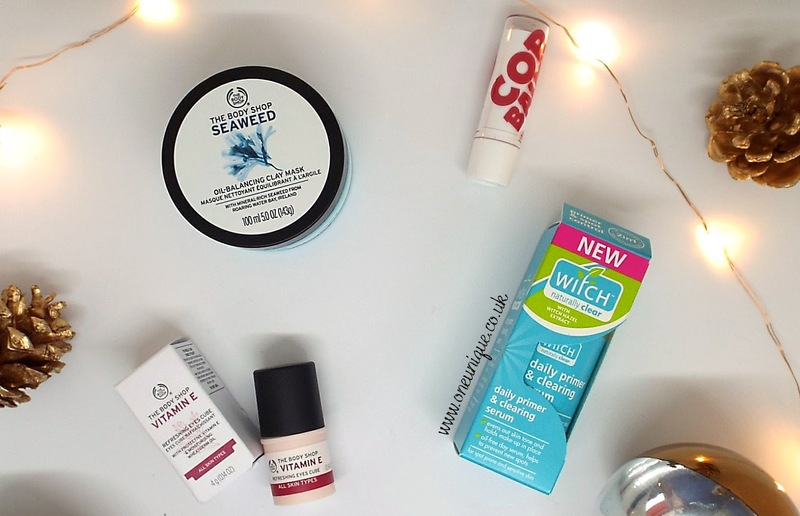 I was pleasantly surprised to open a box of beauty products that I wanted or use on a daily basis. There was a lot, I got some cleansers and toners along with several creams. I've picked my top four to show you. I fell in love with the seaweed collection from The Body Shop a while ago and was thrilled when I was faced with a Seaweed Clay Face Mask. It controls your natural oils and I love it. I've used it a lot and now I've had to go out and buy a second one to last me for the rest of the year! Also from The Body Shop I received a Vitamin E Refreshing Eyes Cube. I've not started applying this daily yet but the reviews have been promising. I'm hoping it will decrease my dark circles (which is mainly due to school) and make my eyes look a bit brighter throughout the day. In addition to these, I was given a Barry M, Cor Balmy lip balm in the shade Currant Bun. I love this lip balm because it's so pigmented and it hydrates your lips for hours. If I don't want to put any lipstick on but my lips look a bit pale, this is the product I turn to. Finally, I have the Witch Daily Primer and Clearing Serum. I use this everyday so my mum bought me two. I received one of these in my goodie bag at the East Mids Meet Up and haven't stopped using it since then. It is a fabulous primer and had significantly reduced my acne. Next, my sister gave me the NYX Ultimate Shadow Palette in the shades Warm Neutrals. This is such a great palette, you get 16 different shades and they are all so pigmented, I love the fact that I have so many options to use and merge together. They are warm colours that really make your eyes pop. 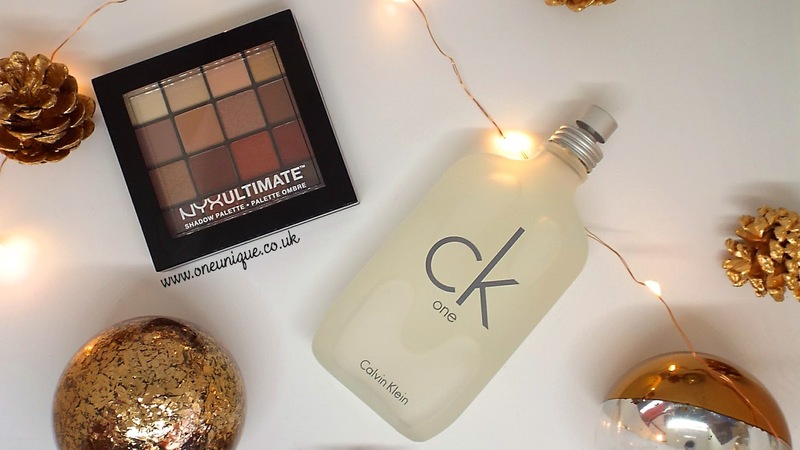 My mum bought me the Calvin Klein CK One fragrance, which if I am correct is unisex. I fell in love with this scent back in summer and have been obsessed over it since. She must have been listening! It is quite a musky smell, it can be strong if you apply too much but it lasts all day. I actually got a lightbox for Christmas which is so cute. It's a miniature one, unfortunately I think the battery pack at the back is broken so I have to plug it in. This is definitely something you'll be seeing more often though! I was very excited when I opened up my next present. I was given a Dictaphone. For those who don't know, it's like a recording device. At the moment, I use an iPod to record interviews and it is very difficult to type up, this is going to make things ten times better! 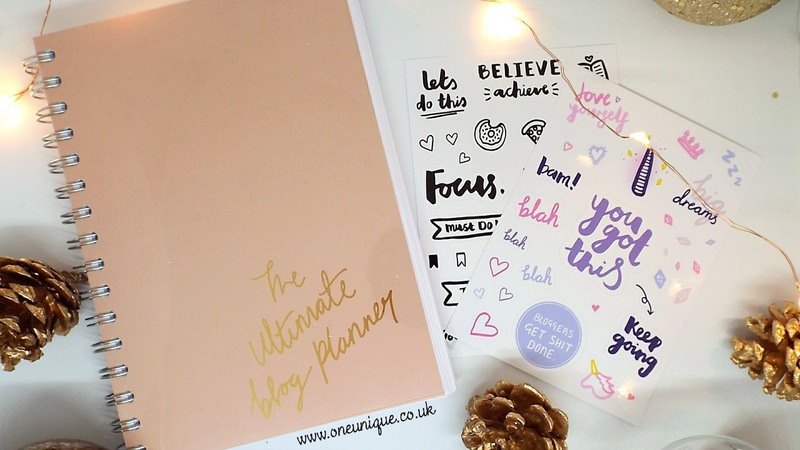 I was very happy to see this Ultimate Blog Planner from Dot Creates, I love the stickers too. Now I can start planning my posts and try to get just a little bit more organised, I can also decorate things with my fabulous stickers! The colour of this planner is so amazing and I love the concept of it. I've been looking for a blogger planner for months and never found one that is great. Dot Creates released this at a good time because I snapped one up as soon as I heard about it. You can't have a successful Christmas without at least one CD. I received Charlie Puth's Nine Track Mind album which is my go to if I want a chilled night in. I also was given Nathan Sykes's Unfinished Business which has become my new album to walk to school listening too. 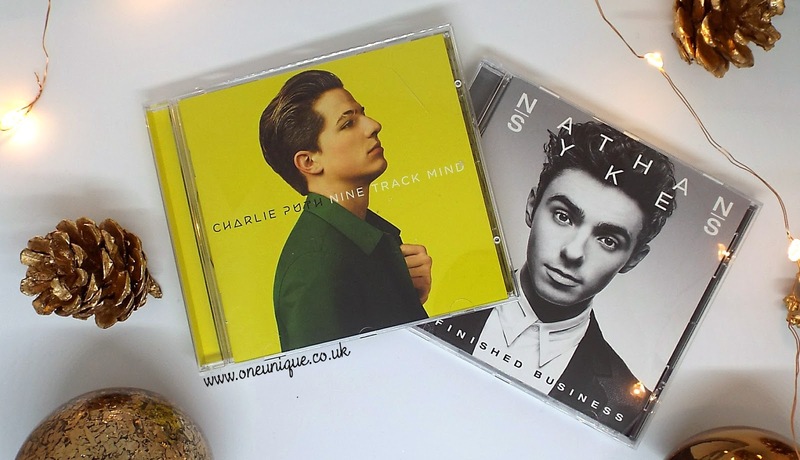 Charlie Puth is such a great artist with some really meaningful songs, Nathan Sykes has a real jazzy sound to it which I love! 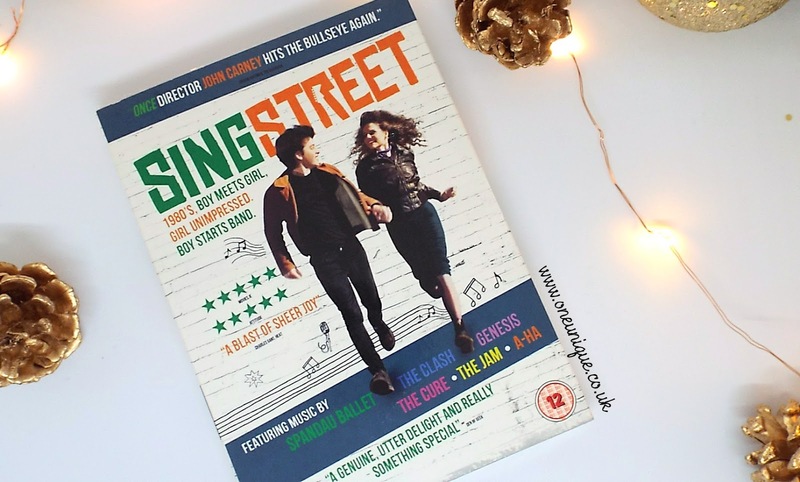 Sing Street is an Irish film released back in 2016. It's about a guy who decided to start a band to impress a girl. It's set in the 1980's and is one of the best film's that I have seen in a while. I thoroughly enjoyed it from start to finish and went on a roller-coaster of emotions. This is definitely a film I recommend that you watch. I was not expecting these for my birthday. 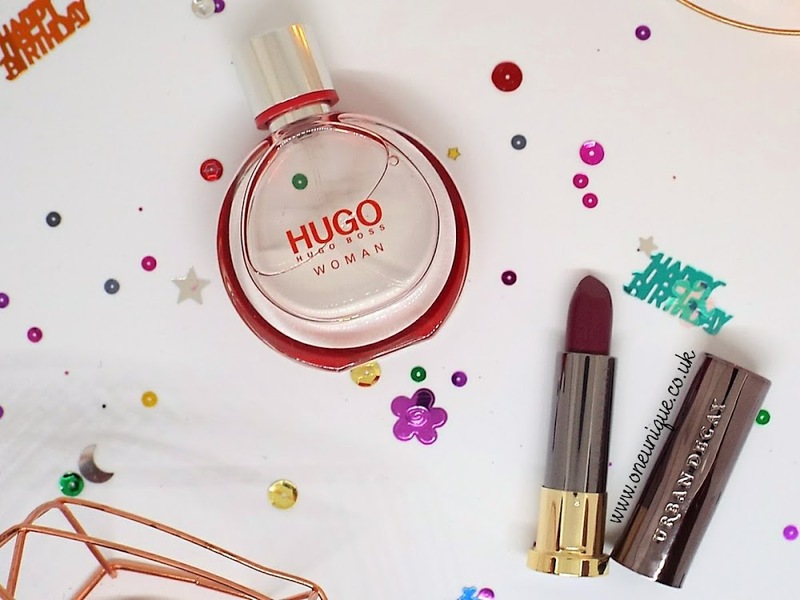 For Christmas in 2015, I received the Hugo Boss fragrance, Woman and adored it. I've used up quite a bit of it so my mum and sister got me a small 50ml bottle of it. 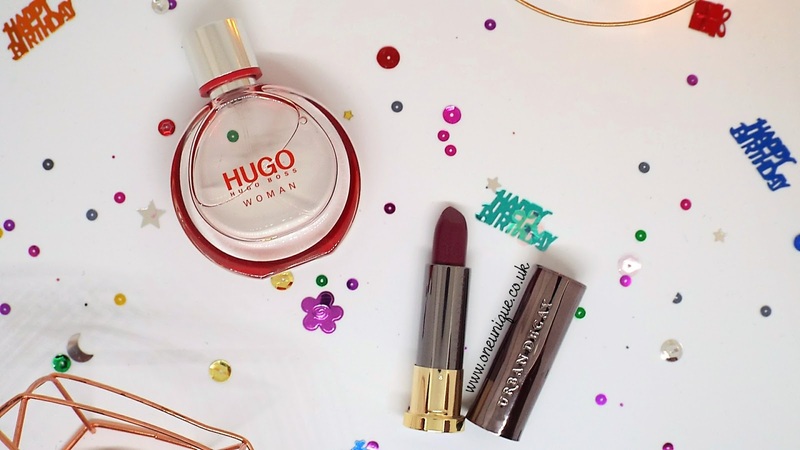 This perfume is quite honestly one of my all time favourites. As another surprise, I also was given an Urban Decay Vice Lipstick in that shade Moshpit. It is one of the cream ones and it's fantastic. It doesn't dry out and it lasts a long time - although I would say that you don't get as much of the product as you'd like. The packaging is to die for and the colour is so pigmented. I stole a similar coloured lipstick off my sister a while ago and she told me that it didn't suit me so she could have it back. I'm guessing by this present (and she let the cat out of the bag) that the colour suits me quite well. 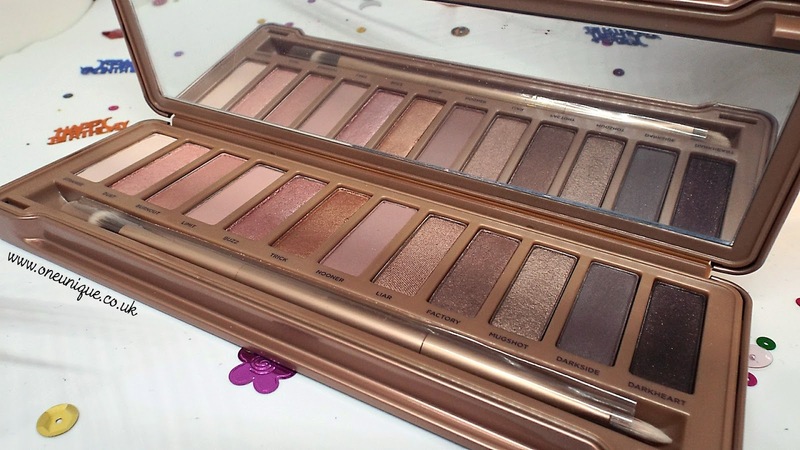 My grandparents bought me the Urban Decay Naked 3 palette for my birthday and it's beautiful. I love pink, rose-hued warm neutrals. 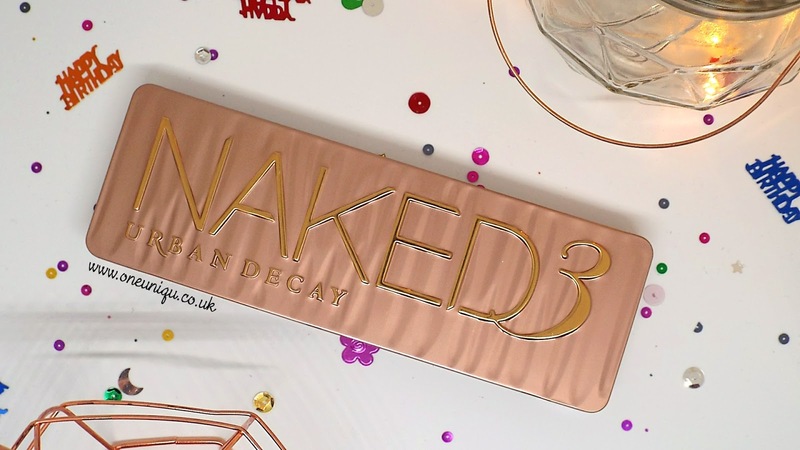 I am yet to use it but my friends have informed me that it is lovely to use and very pigmented - I even went out and bought a load of new eye brushes to use! I am honestly really excited to start using this. I have taken a picture of the shades for you, I'll drop that below. Aren't they just so gorgeous? 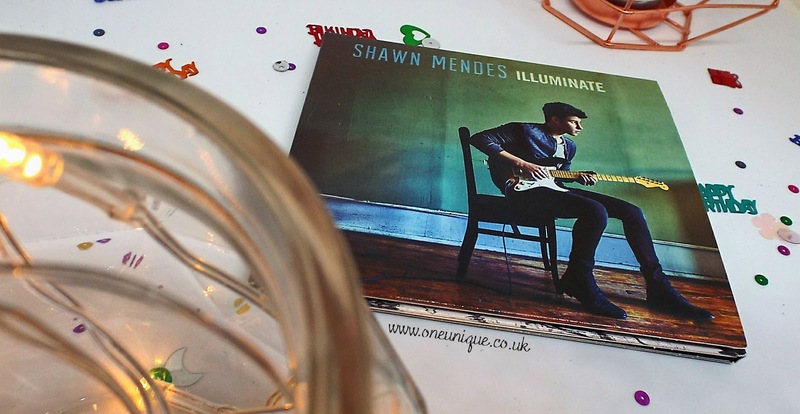 Finally, I was given Shawn Mendes's album, Illuminate. I have restricted myself from listening to this until I had a physical copy and I wish I'd listened to it sooner. It is such a lovely album that has a great vibe to it. I adore Shawn Mendes. That's it for now. I hope you enjoyed that and got some great ideas about what to spend your Christmas money on. 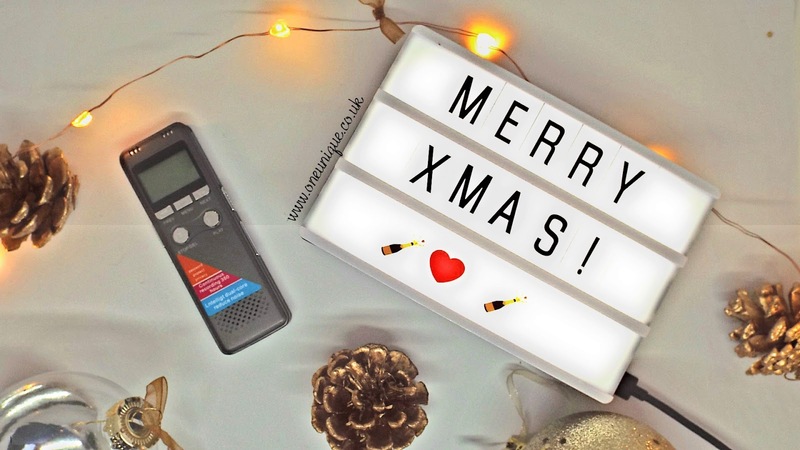 What was your favourite Christmas present?